I think that it’s really worth reading every line of the article and discussing it with colleagues and parents. Unfortunately, the writer, Hilary Stout, really doesn’t take it the next step: How do we support play in school and keep to the new learning standards? What is the role of the teacher in children’s classroom play? How can the teacher scaffold children’s play without presenting ‘tasks’ and directives? What should classroom play look like in kindergarten? In first grade? In second grade? The article describes how one parent’s interest was “piqued when she toured her local elementary school…before Benjamin (her son) was to enroll in kindergarten. She still remembered her own kindergarten classroom from 1985: it had a sandbox, blocks and toys. But this one had a wall of computers and little desks.” “There’s no imaginative play anymore, no pretend,” Ms. Wilson said with a sigh. It is SO important for early childhood educators to think about and discuss this dilemma. What do we think about this? I REALLY hope that you will send in your thoughts, concerns, suggestions, etc. after reading the article! 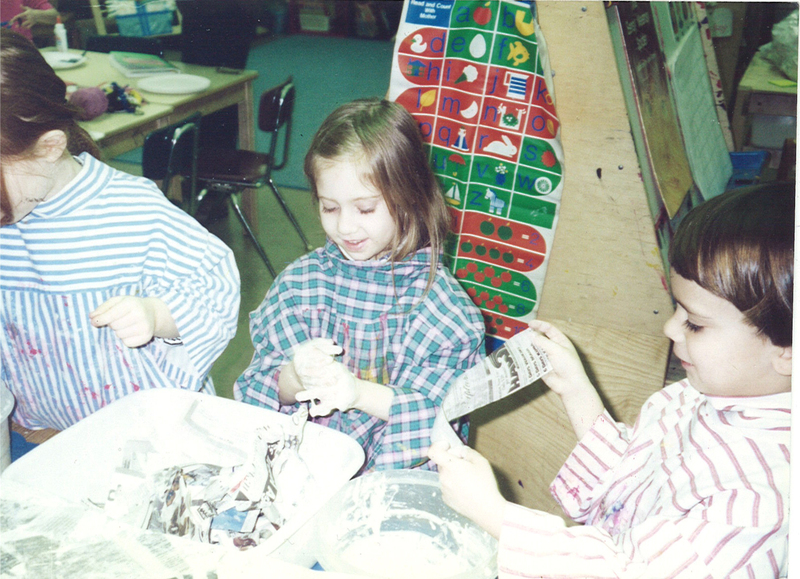 This entry was posted in Investigating Choice Time: Inquiry, Exploration, and Play and tagged blocks, importance of play, learning standards, sandbox on January 6, 2011 by Renee. The conversation regarding play is just dead. We have to “fit” in play/choice time in our Kindergarten classes and it’s a bit subversive. Child exploration and centered learning is something of the past in our District. It is so unbelievably sad. Alyssa, this must be doubly difficult for you after being principal of P.S. 150, where there was so much respect for children and childhood. Could you share the article with the principal of your new school? Is there any ‘room’ there for a conversation on this topic? Someone once advised me that I should call Choice Time “Inquiry Workshop”. At the time, I really resented this advice, and deep down I still do resent it. But…if it works when all else fails, then I would see if that might be a way of getting in a daily choice time. The teachers would probably need to ‘justify’ each center in terms of the type of learning going on. They would probably also need to include writing experiences, math experiences, books, etc. in the centers. What do you think? There’s also a battle over free play in pre-k, though not nearly as fever-pitched as in the kindergartens. However, something potentially great is happening. Starting last spring all NYC pre-k’s undergo an annual ECERS-R review (Early Childhood Environment Rating Scale–Revised). One of the central provisions is that children must have access to blocks, dramatic play, water and sand, science/nature, books, manipulatives, etc., for a minimum of ONE THIRD of the program day! For my full-day pre-k class, that equates to 2 hours and 6 minutes of free play, not even counting outdoor play. Happy day! This is really good news. Is there anyplace where I can read about this? Alyssa, you CANNOT give up on this. If it means finding every ounce of research you can get your hands on to support learning through play, you have to do it. Stuart Brown has a good book out now on the importance of play, just for an example. As an ECH educator, I feel your pain. I am fighting an uphill battle over this same issue..but I still keep trudging. The thing is, I have been able to see the effects of what our test and standards based mania in education has done, in some of the teens I also work with. Many of them couldn’t produce an original thought if it slapped them in the face…I am convinced it is because of what has been lost via reduced recess, no “down time,” and much much more. We must keep up the good fight! Ellen, I totally agree with you. I think that it is our responsibilty to advocate for appropriate early childhood practices. I am lucky that I still am allowed to have choice time every day in my kindergarten class. However, my biggest problem is making time to plan choice activities for my students. It takes a lot of time and thought and after planning writing, reading, math, small group reading, small group math, science etc- there is barely any time left in my day to think about choice. I’m trying to make it a priority, but boy is it hard! When I go into schools to work with kindergarten teachers, my heart goes out to them. I can see how much is piled into their program. However, I really do feel that teachers need to show how a well-planned, explorative choice time opens the doors for children to integrate math, science, writing and reading into their play. It does take planning on the part of the teacher, but it’s a matter of priorities. Last year I attended a conference on early childhood education hosted at City College. Among the presenters was Ed Miller, a well-known early childhood educator. He showed a consistent pattern of decline in the “free play” segment of a kindergarten school day and cited the research to show how vital free play was to early childhood development. However, since this trend seems to have continued, I don’t see it as a sign of ignorance but a more deliberate attempt to “dumb down” those children who are not getting the healthy education that is still practiced at progressive schools such as Montessori. Joel, aside from giving children time to play and explore in the classroom, it’s so sad that children don’t get time to go outdoors and play. In most New York City public schools, they only seem to get a few minutes to go outdoors after lunch. Their teachers are not with them and there’s usually school aides and a few cluster teachers out there with them. This is such a shame. I did some consulting work at The Brooklyn New School, P.S. 146 and the principal, Anna Allanbrook, makes sure that each class (even the upper grades) have outdoor time each day with their teacher. When I was a classroom teacher at P.S. 321 in Brooklyn I loved going outdoors with my class. I learned so much by observing the children in that totally unplanned, interactive time of the day. It also provided a perfect opportunity for me to model positive conflict resolution strategies as the need came up.